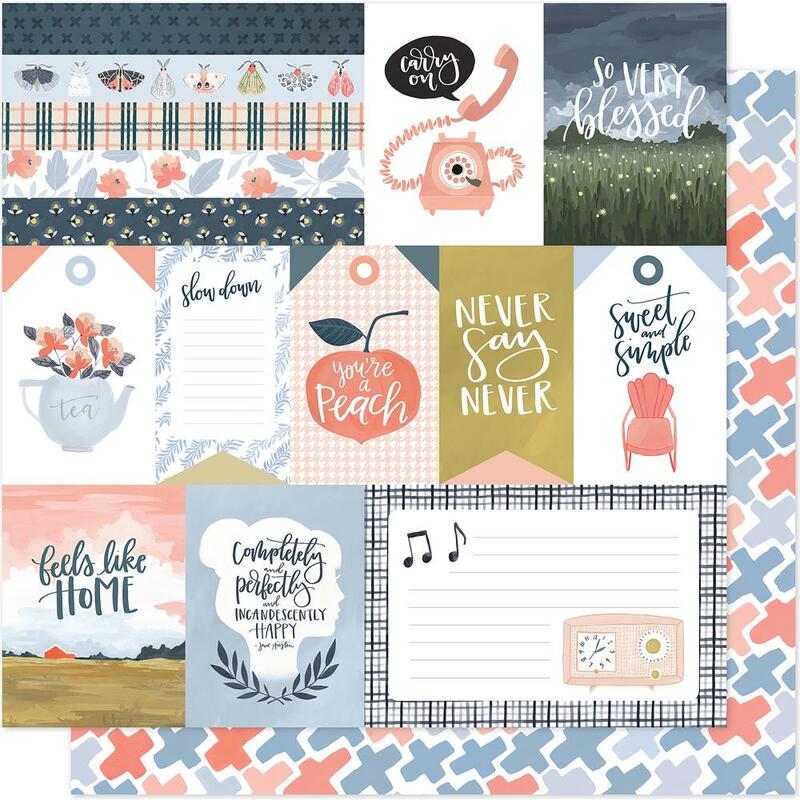 This 12x12 double sided paper has an assortment of Journaling Cards, Borders & Tags on the frontside while the reverse side has Large "x" in color. Part of the Twilight Collection by One Canoe Two / American Crafts. Look for coordinating Embellishments, 12x12 Pattern Paper and Individual Designer Papers.